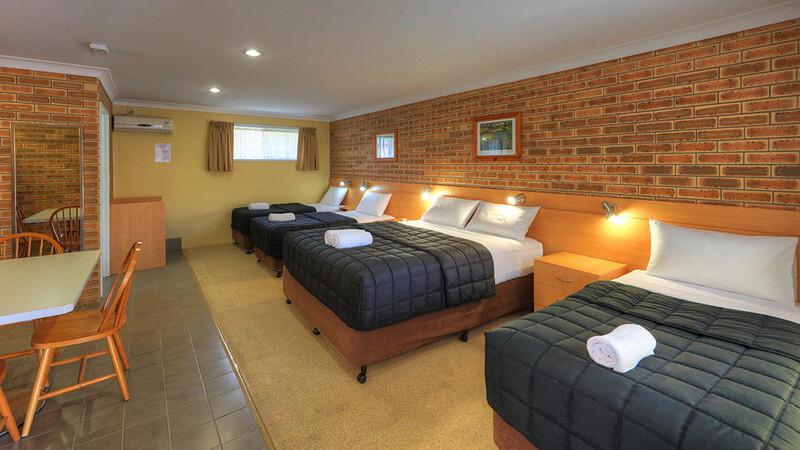 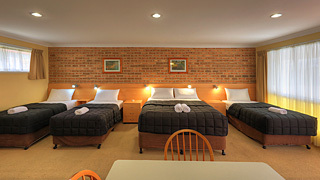 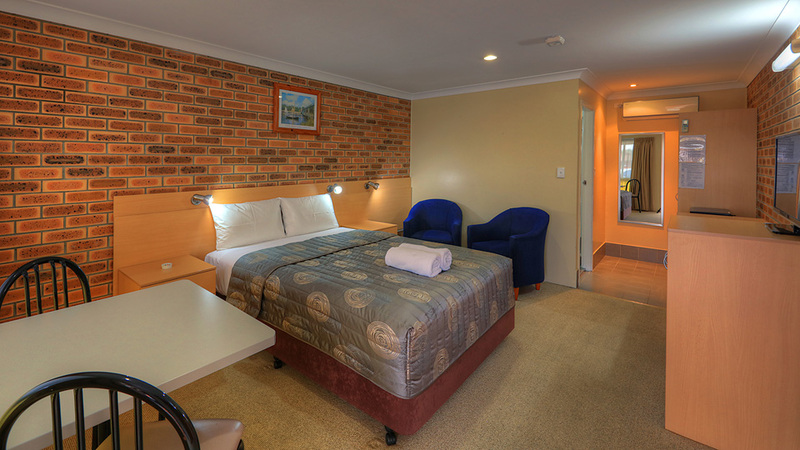 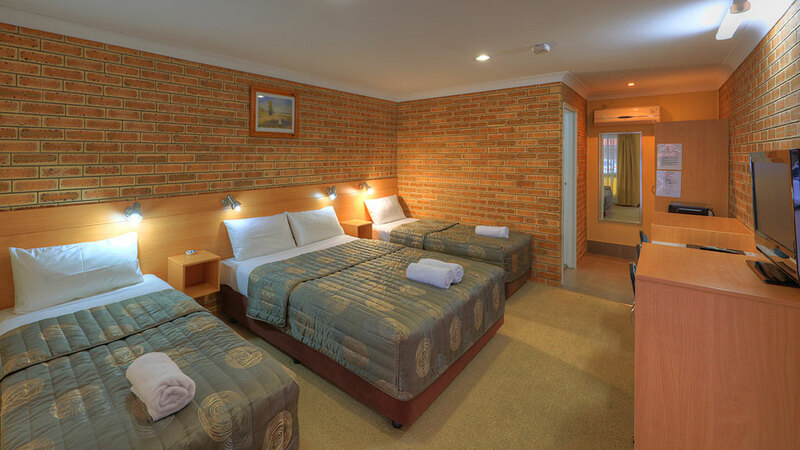 The Jumbuck Motor Inn motel accommodation offers the choice of motel style accommodation including Executive, Standard, and various Family Suites. Recently renovated and refurbished with excellent bathroom facilities, with queen and single beds throughout. 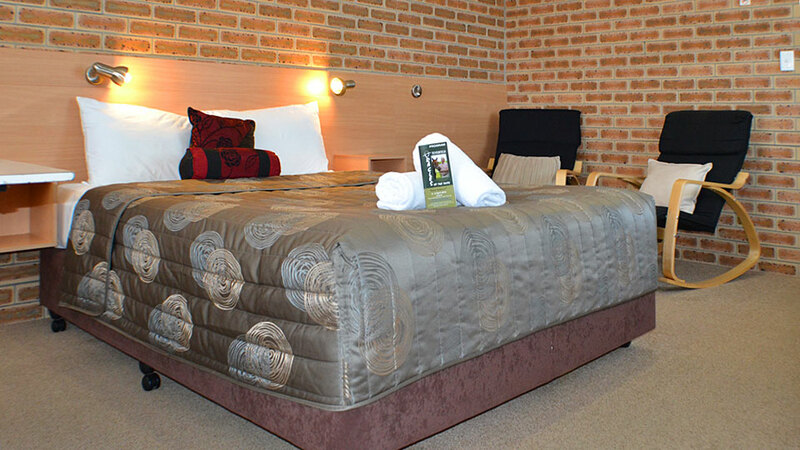 Rated a high AAA 3.5 star facility. Fully licensed with Room Service Breakfasts and quality Evening Meals. 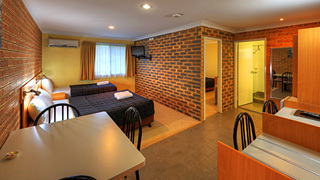 Free Wi Fi, Free Foxtel, Tea and coffee making facilities with toasters and Microwaves in all units. 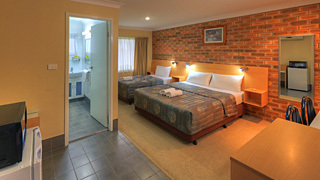 Table and chairs in all units as well as divans/tub chairs in the Executive units.